This beautiful fall tablescape with blush pink pumpkins for a centerpiece is a non-traditional take on a traditional autumn table setting. 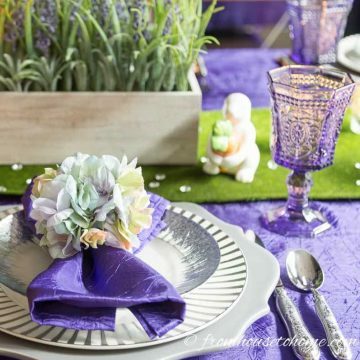 I love creating beautiful fall table settings that don’t use traditional autumn colors, like last year’s gold and copper fall table setting and this purple and silver Thanksgiving table. So it’s not much of a surprise that this year’s fall tablescape with blush pink pumpkins is following down the same path. But before we get into that, I’d like to welcome everyone that is coming from Angelina’s place at Petite Haus. I’m glad you stopped by! 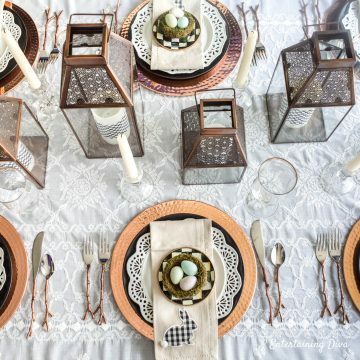 Doesn’t she create the most beautiful tablescapes? To kick off the end-of-year entertaining season, I’m linking up with some blogging friends to give you all kinds of autumn-inspired table settings. We have 11 beautiful tables for you to visit, so get your coffee, find a comfortable seat and get ready for some fall inspiration. Okay…now back to what I was saying…I am not a fan of traditional fall colors (like orange), as you can tell from last year’s fall home tour. In keeping with that convention, I went with a non-traditional color scheme for my table setting, using blush pink pumpkins, with silver and copper accents. My inspiration for this year’s fall tablescape was a really inexpensive pink tablecloth and napkins that I picked up on clearance from TJ Maxx. I originally intended to save it for a pretty spring table setting, but then I saw all of the beautiful glass blush pink pumpkins that are out this fall. And immediately changed my mind. Who says you can’t have pink fall decor? 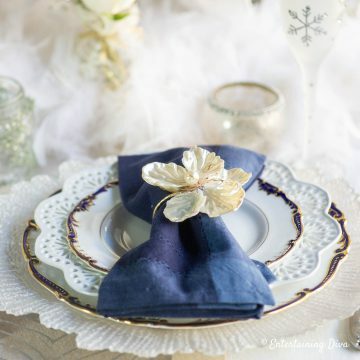 The tablecloth and napkins have a band of silver beads around the edge, making the decision for a second color easy. 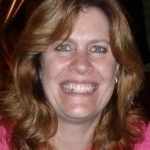 I started with a silver placemat and a pink glass charger, which immediately pulls in the colors from the napkins and pumpkins. Then I added white and silver dishes. As usual, I like to set my table using layers of coordinating but not matching dishes. 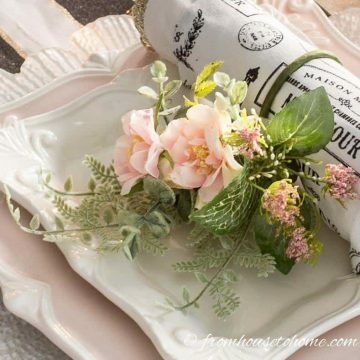 The silver leaf napkin ring is a simple way to add a little feeling of fall to the place setting. After discovering that I love copper fall decor last year, I wanted to see if I could bring a little of it into this year’s fall tablescape, too. I was surprised at how well the copper goes with pink! You might recognize those copper wine glasses* from last year. Okay, I did spend a little more money to get some copper-colored twig-shaped cutlery*…which creates some extra fall interest on the table. I really love the pink, copper and silver colors together. For the centerpiece, I arranged different sizes of pumpkins down the middle of the table. Alternating between shiny and matte finishes helps to keep it looking interesting. And I love how the pumpkin salt and pepper shaker fit right in with the rest of the table decor. A few gray velvet pumpkins help to add some texture and bring the silver into the center of the table. I also got to use one of my favorite accessorizing tricks…putting decorations on a cake stand to add some height. 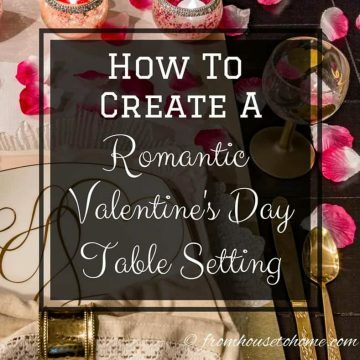 Since I happened to own one in pink glass, it works really well to with this table setting. 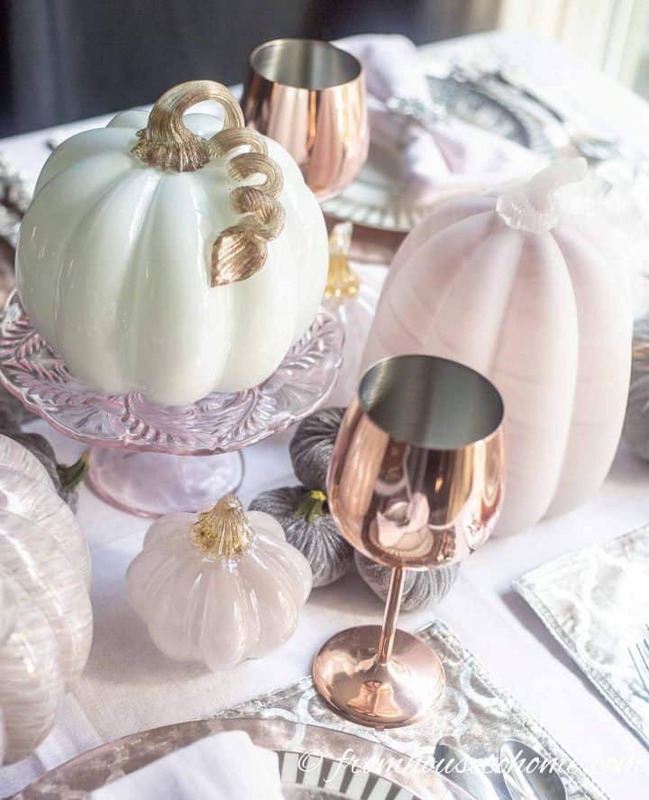 Well, that’s it for this year’s fall tablescape with blush pink pumpkins (you can find all sources below). 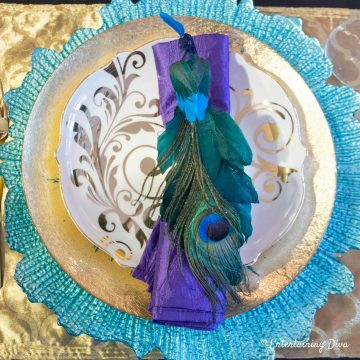 Next up on the tour is Lynn at Living Large in a Small House, so be sure to check out her gorgeous fall tablescape. Have comments or questions about our fall tablescape with blush pink pumpkins? Tell us in the section below.